FREE MOVIES IN THE PARK (Galloway): Friday, June 20th @dusk, approx. 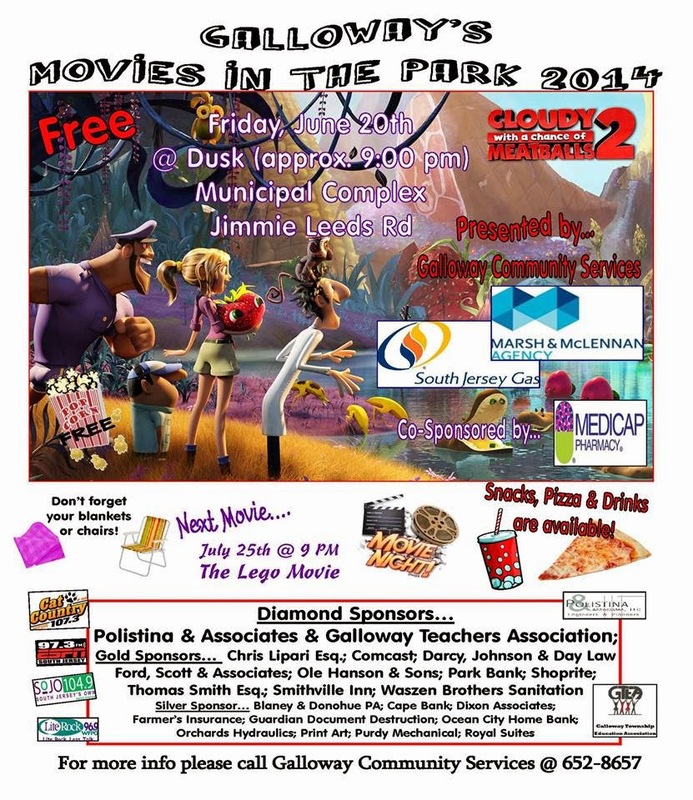 9:00pm., "Cloudy with a Chance of Meatballs2" will be shown at the Municipal Complex. Get your FREE Popcorn!! Snacks, Pizza and Drinks will also be available for Sale! Don't forget your blankets and chairs! Next movie will be July 25th at 9pm showing "The Lego Movie." Thank you to all the sponsors listed for making these Movies in the Park possible.